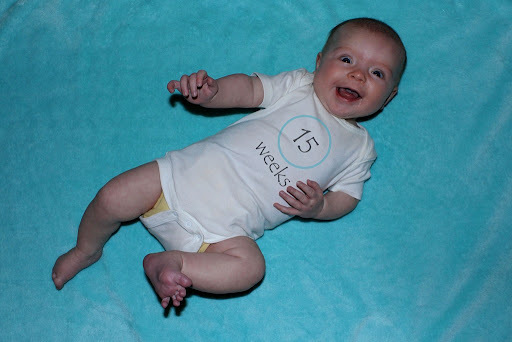 You are 15 weeks old today – why does that sound so old?! At your peds appointment yesterday (for your HIB and Pc shots that I delayed from the 2 month appt), you weighed 13#10oz. Wow!! They didn’t measure your length, and I forgot to ask, but you are LONG baby. 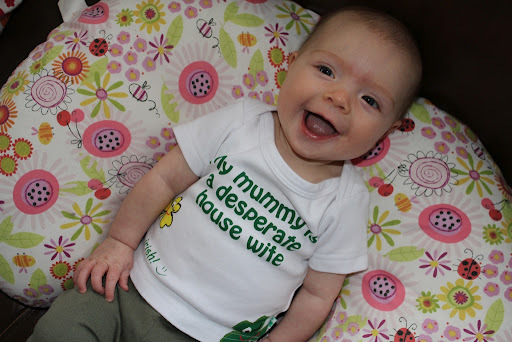 Your 1st St. Patty’s Day, chillin’ in a shirt that your Mommy’s friend Leia actually bought you when she was in Ireland last summer! 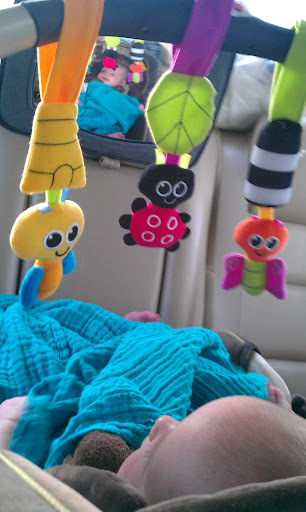 You LOOOVE your little alien bugs that hang on your carseat bar. I know we’re not supposed to drive with the bar up, but for short distances, I usually do anyways now days. You’re just so enthralled with them! 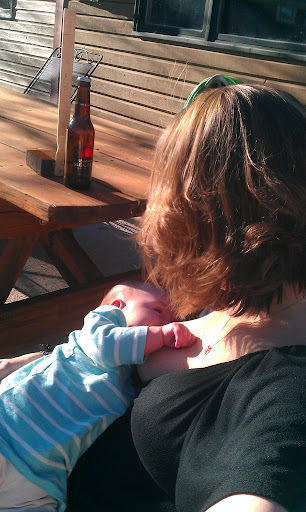 St. Patty’s was pretty low key this year – dinner and drinks with a couple of daddy’s buddies (Jord & Linc). 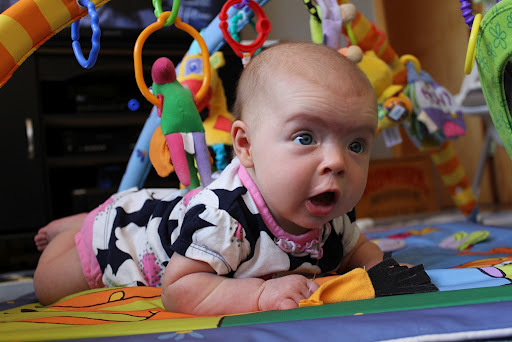 You finally are tolerating tummy time, so we try to do a little every day. You are getting SO strong, baby! 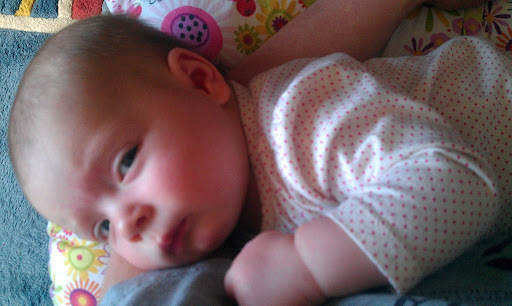 You started actually holding my breast when you eat now. It’s pretty darn cute. 🙂 I love feeling so connected to you. 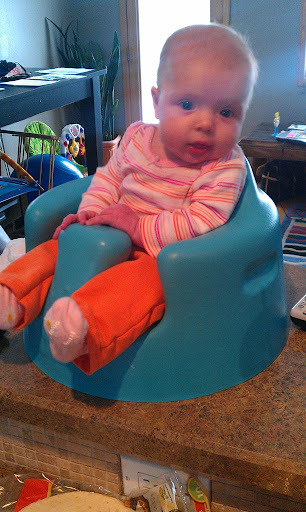 The bumbo seat is also a love in your life now. You’ll watch me make dinner, do taxes, you name it – as long as you’re sitting up and getting to watch the action! 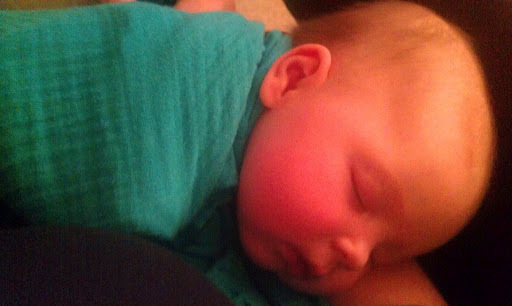 Love you so much Stella – I can’t wait to see what the next week brings! Just a heads up. 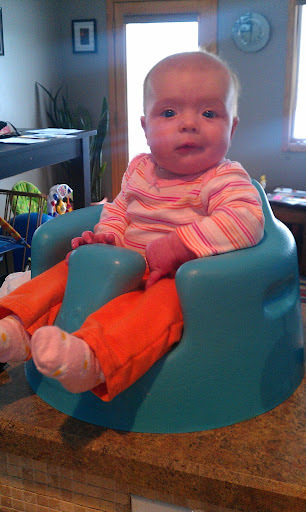 When I meet that child, if there are dipping sauces around, she MIGHT end up being returned to you sans a cheek or two. OMG HER CHEEKS!! Om nom nom. Baby giggles!! What happened to all these newborns that just slept and ate all day long? 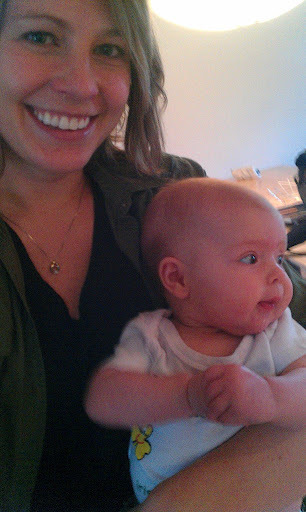 Now we are starting to see actual babies and toddlers in blogland! Slow down babes! But she is absolutely gorgeous. I love her big open mouth smile! It makes me smile too!And she is a big girl! Taylor was only 13lbs 3oz at 15 weeks. Go Stella!!! oh my goodness, I love pics of her! 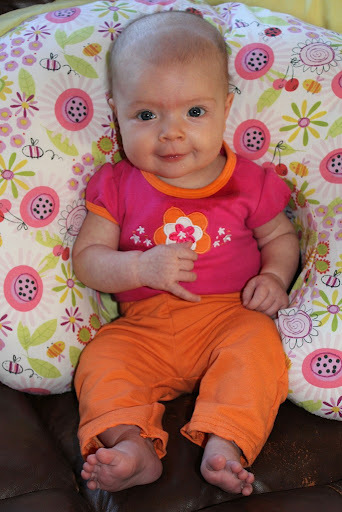 She is precious and getting big SO fast! It's amazing how quickly time goes by, isn't it?